Crown and Bridge Tray Systems - Lab Depot ltd.
We carry a number of different tray systems, including Monotrac, Crystal Tray, and S/base. Monotrac articulators are three times faster than conventional pinning systems. They are accurate, and have a solid lock die relocation. They have a natural excursive equilibration, and adjustable vertical centric stops. 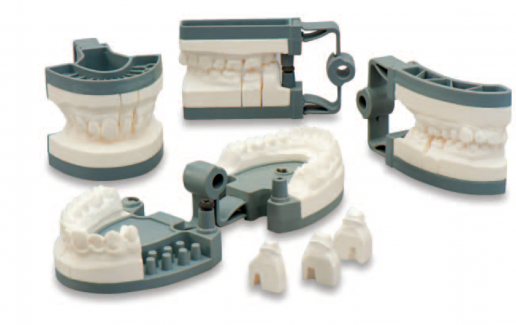 One Monotrac system does it all, from single crown to full bridge. 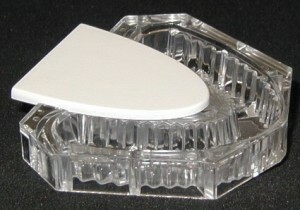 The Krystal Tray System has a unique patented sacrificial tray base. This makes it both a closed and open bottom tray system. This offers the dental technician the advantages of both an open and closed bottom tray without their disadvantage, for example, plaster creep from open tray and dirt, and debris. 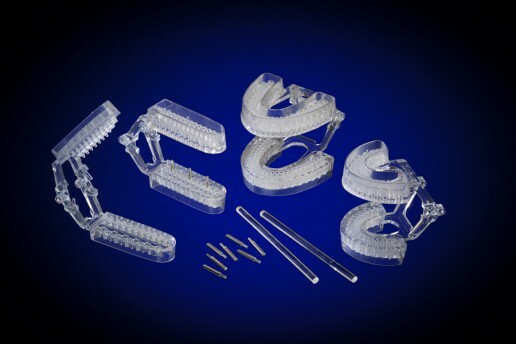 The MainStay™ Disposable Articulator System was designed to save you time, money and waste. 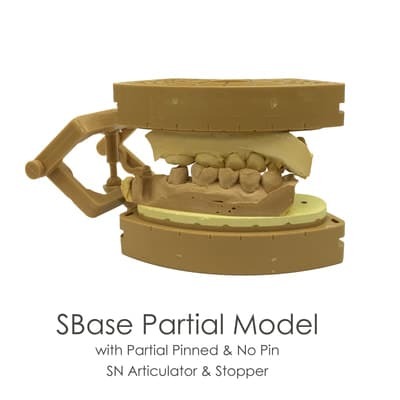 This system of disposable articulators does not require model formers or a gypsum base, and adjusts to accommodate any occlusal relationship. Its base was designed without external walls or raised edges to prevent interference with the seating of dies and model segments. This unique feature also means that it can easily be used with gypsums of all expansion ratios. Choose between Pin Models in Full Arch, Anterior and Quadrant sizes. Pinless Models offered in a Quadrant size. Hinges- Durable and easy to separate. Resists breakage. Can be heated for custom occlusal relationship. SBase is ReadyBase System that is quick and easy to use. This base is made of durable plastic with plaster stone and pins, which makes it lightweight and resilient. Using this system will eliminate making plaster bases that will surely saves you time and cost. It will also increase your productivity while improving quality and aesthetic of your finish product.